RARE! 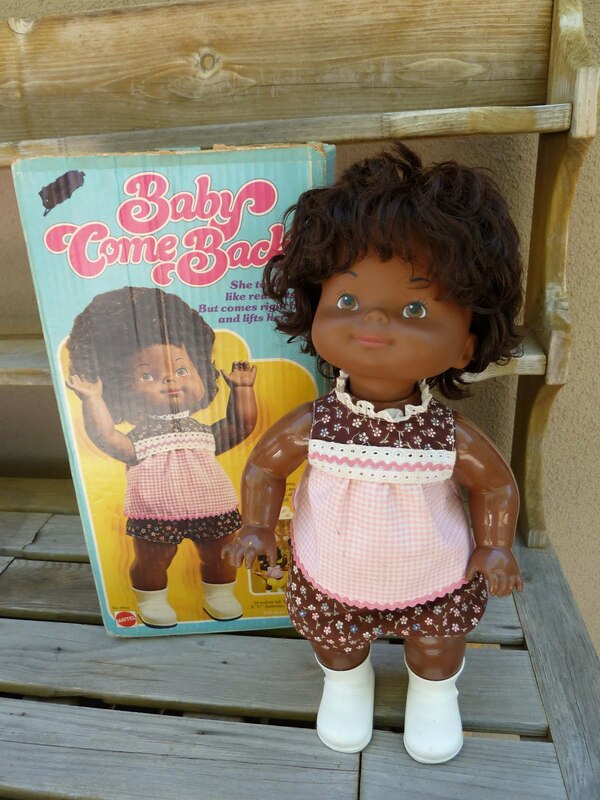 Black BABY COME BACK Doll Mattel 1976. SHE IS MISSING THE BATTERY COMPARTMENT COVER so I cannot test her without it, so I do not know if she works. Takes 2 C Batteries(not included). Comes with her original cardboard box also which does have wear and the top portion of the box has come off but is included. i just receive my baby doll im so please with her, i will remember to frequent your store often. This was a doll my parents couldnt afford for me now i get to share it with my grandaughter, thanks so much! Are you looking for a lost toy or baby blanket? Please post a description and photos of your item. Include as much detail as possible, photos, brand, size, color, type, etc.